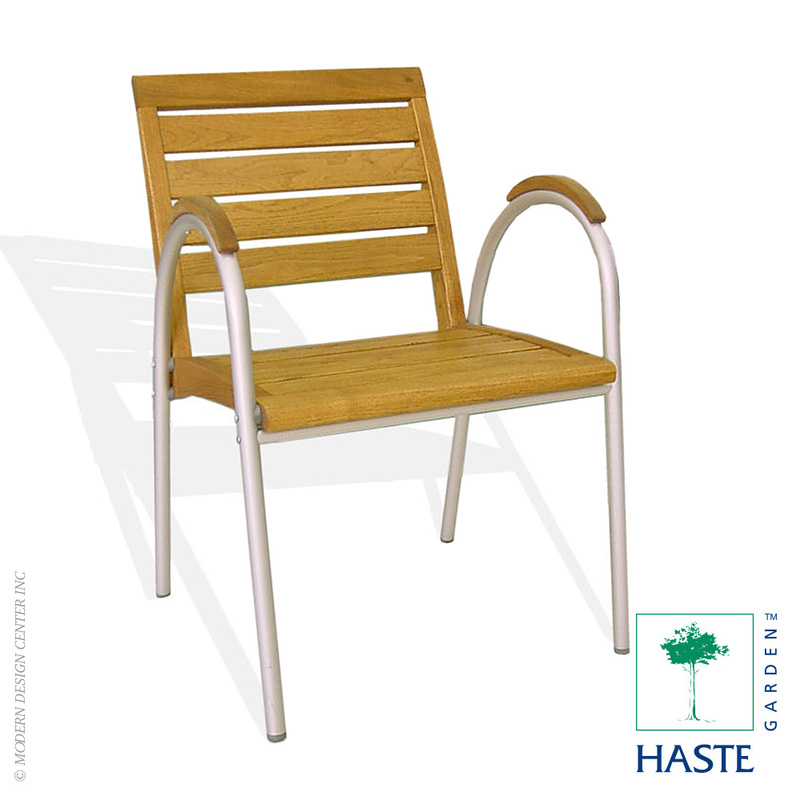 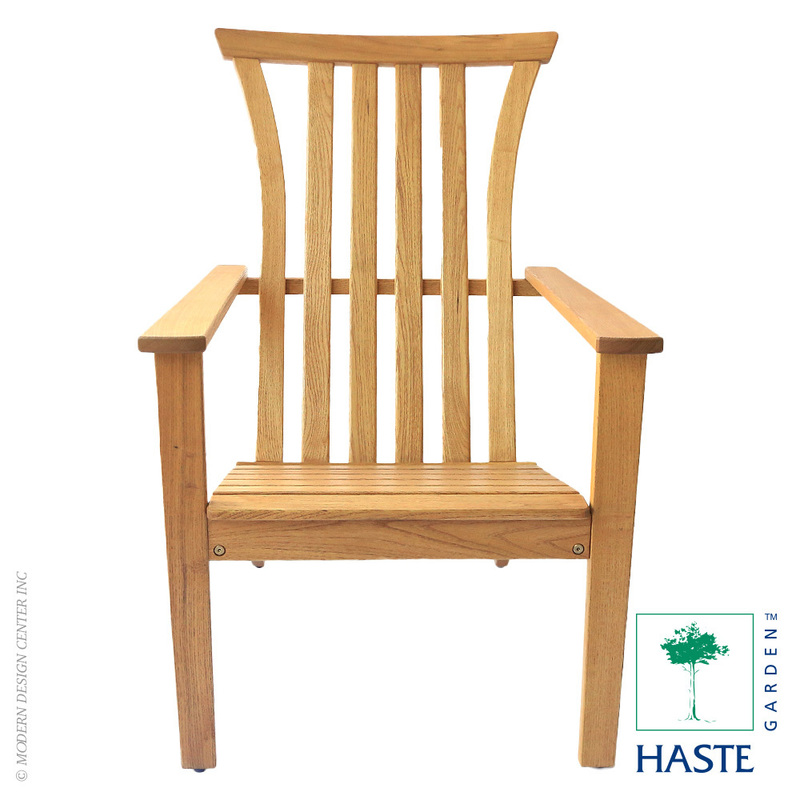 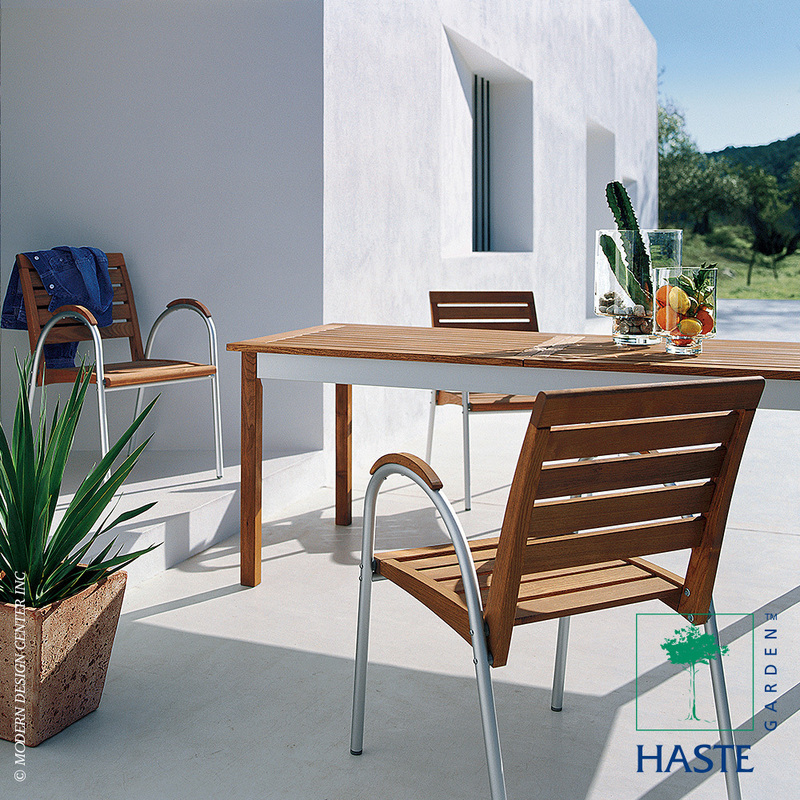 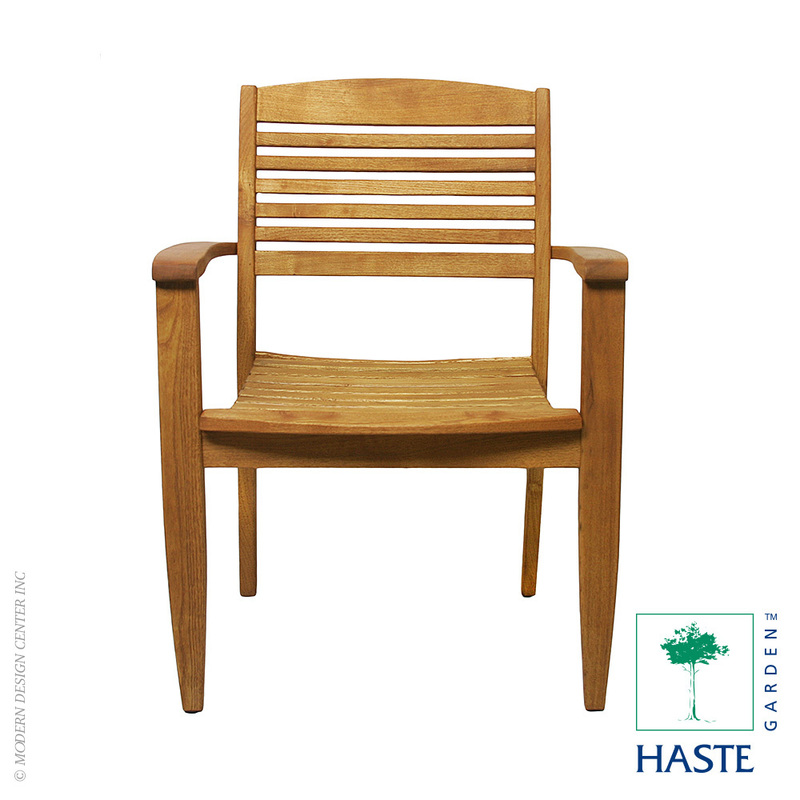 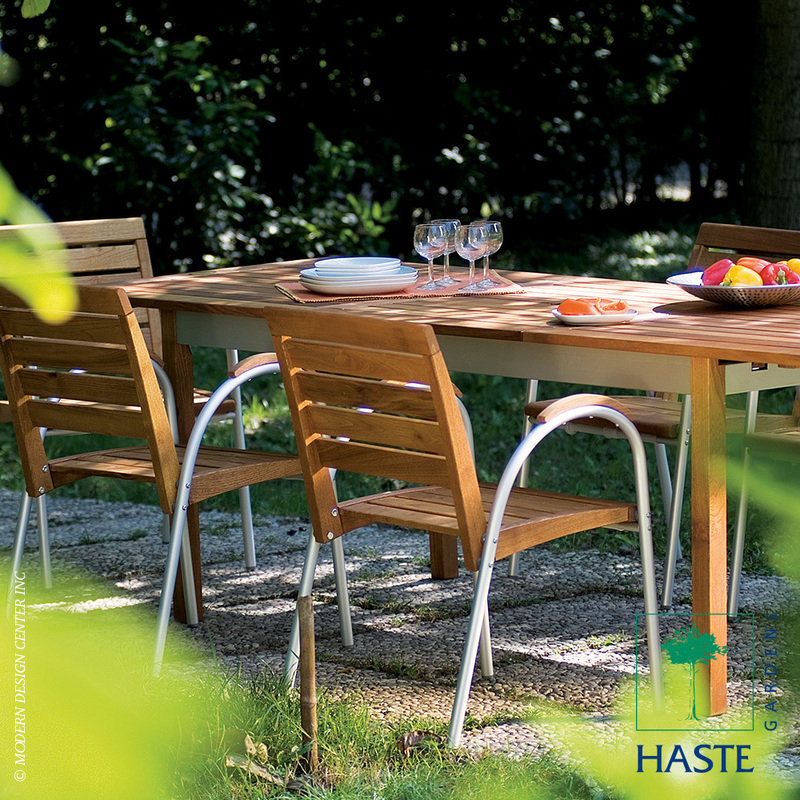 The Arabella stacking chairs have a gently contoured back and seat in robinia hardwood, combined with an aluminum frame. 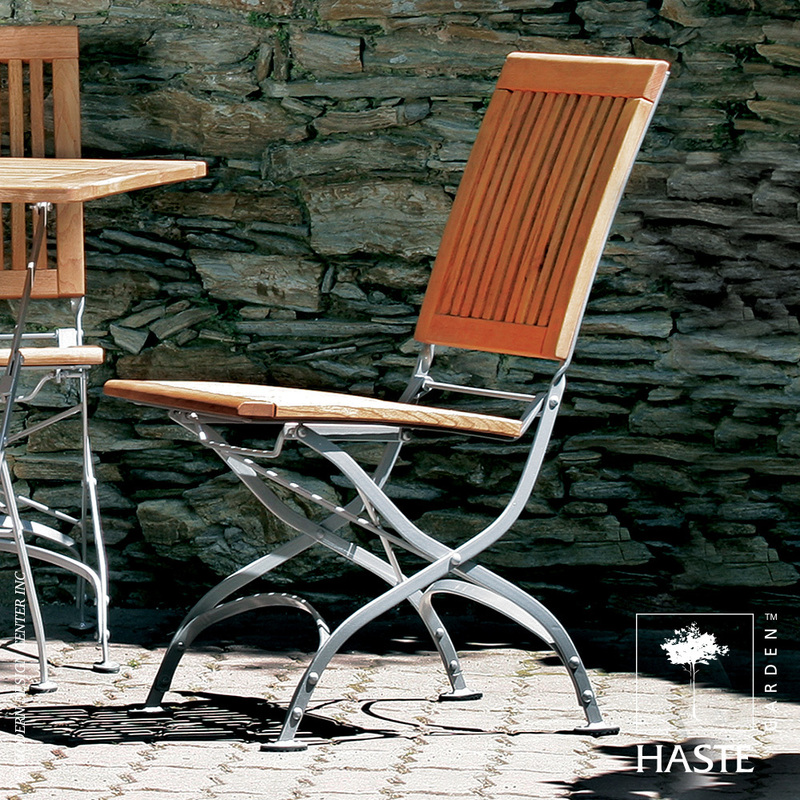 Sturdy slats tip back gently for comfortable seating. 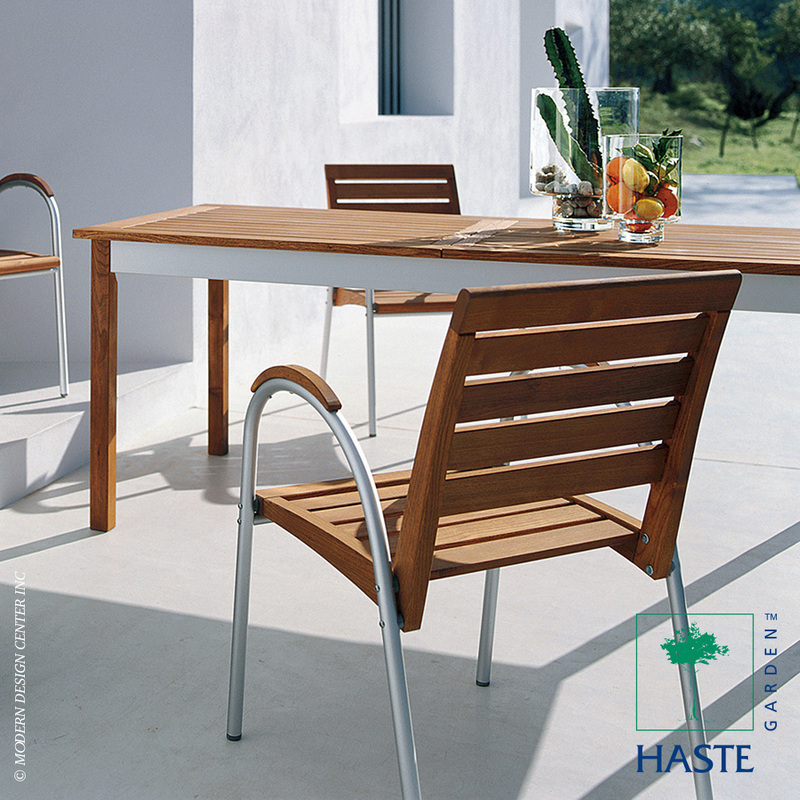 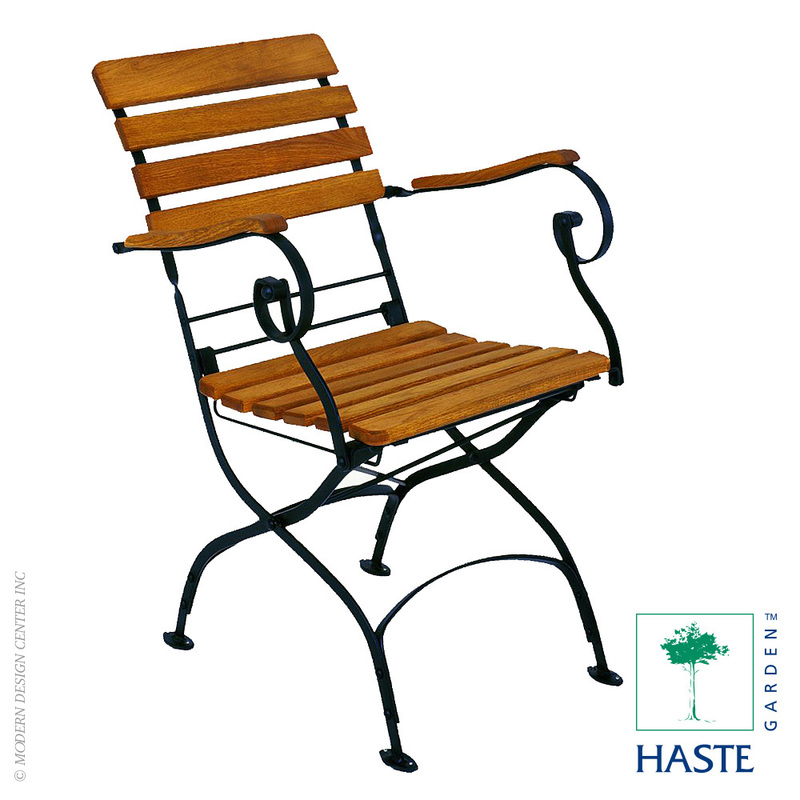 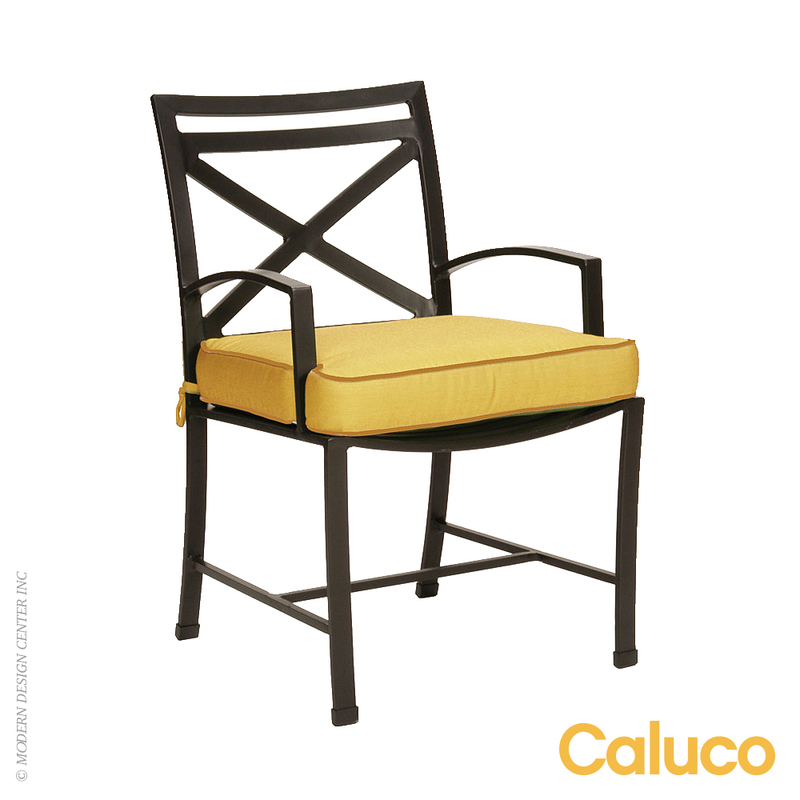 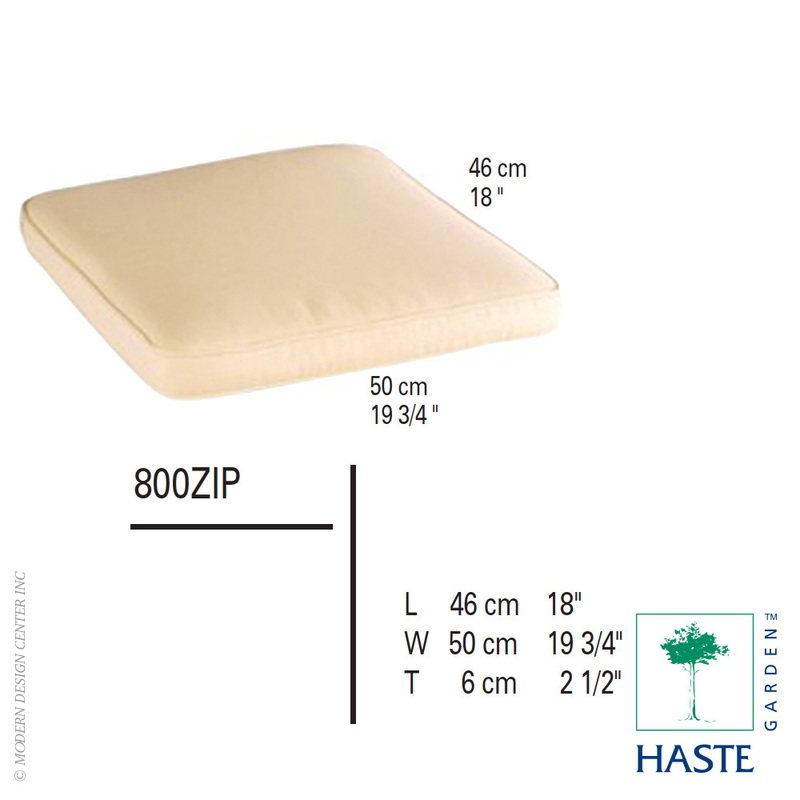 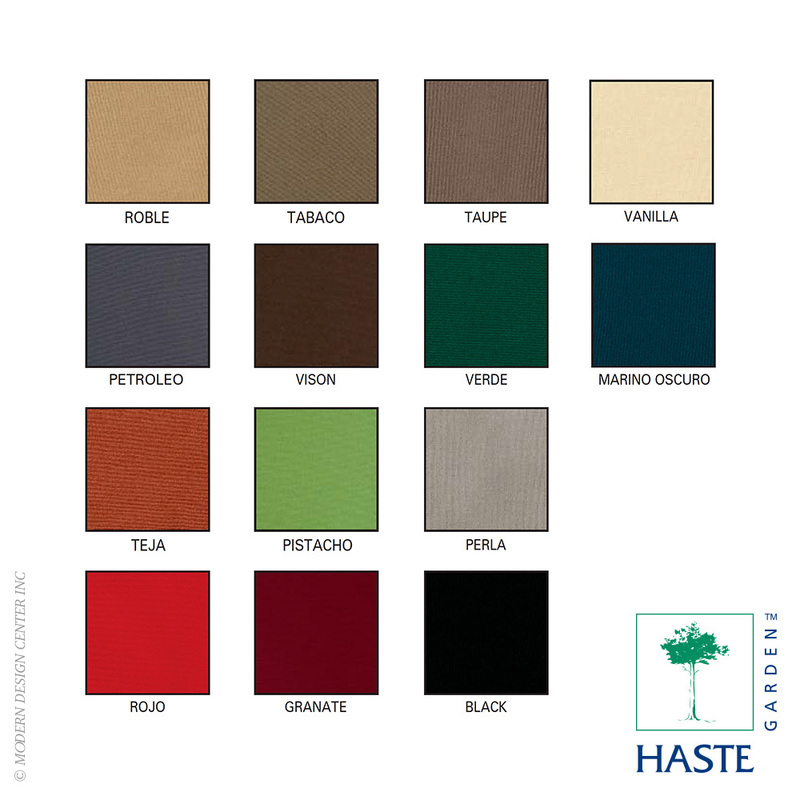 The design and quality are visible in every detail of the chair. 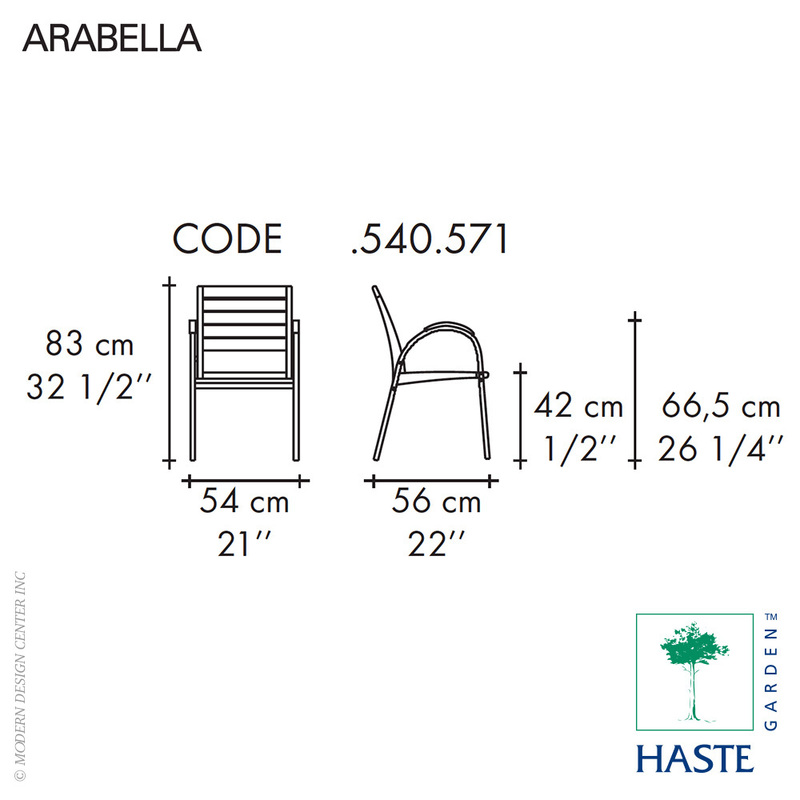 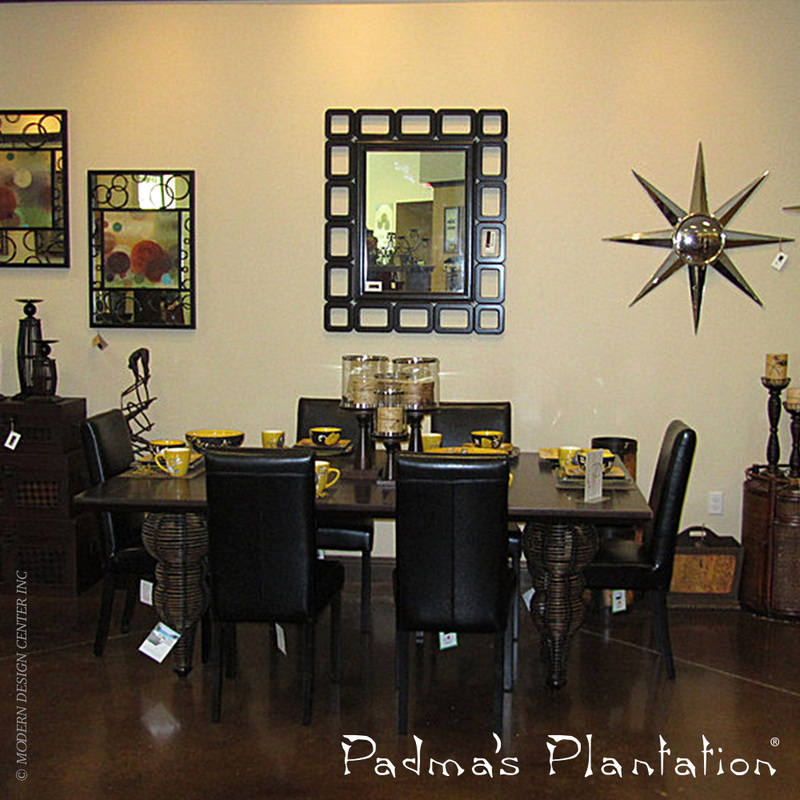 Arabella creates an inviting dining spot wherever you place it.